It isn’t problem solving if you know what to do. Teachers—math circles just for you! 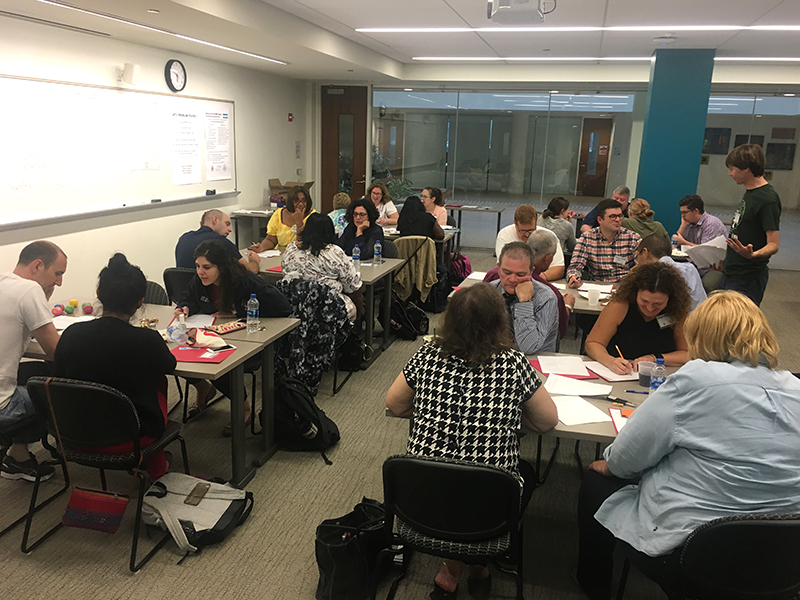 The Chicago Math Teachers’ Circle is an opportunity for school math teachers (at any grade level) to solve interesting problems together—many MC2 teachers found us through CMTC! Sponsored by Loyola University and DePaul University, CMTC sessions are held on Loyola’s campus and now a new 2nd site at the Hyde Park Art Center. Register to attend sessions through the link here, and learn more below. The Chicago Math Teachers Circle is part of the national Math Teachers’ Circle Network. Our main focus is on providing teachers with the opportunity to solve interesting math problems with peers. Teachers also get to stand in their students’ shoes, gaining insight into teaching problem solving that can be transferred into their own classrooms. Questions? write chicagomathteacherscircle@gmail.com.